Offering an exceptional performance-price ratio, the Lexmark C532dn colour laser combines outstanding colour quality with effortless operation and rapid print speeds up to 22 ppm (21 ppm A4). Why not save energy, paper and money at the same time? 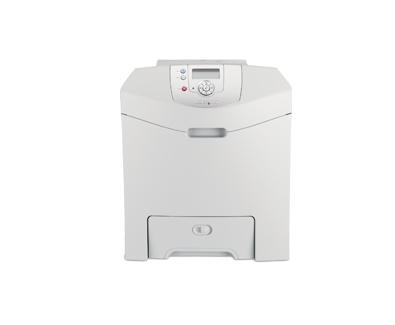 The Lexmark C532n reduces costs to you and the planet. It includes an Eco-Mode, which enables you to minimise power consumption and paper waste. What’s more, you can opt for a integrated duplex printing model (Lexmark C532dn) to cut paper waste in half. With the newly designed operator panel, printing and maintenance is as easy as child's play. It combines a large, all-points-addressable 4-line display, intuitive navigation buttons, and easy-access menu selections. And for even more-simplified troubleshooting, you can benefit from built-in help guides, as well as helpful ‘Show Me’ messaging for extra clarity.